You are here: Home / News / Gossip Girl About to Get a Gay? Gossip Girl About to Get a Gay? 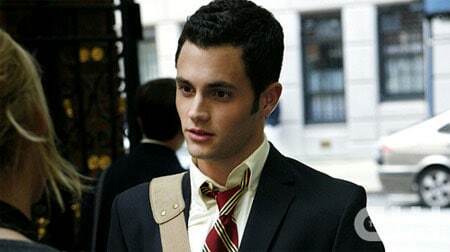 Last October, I posted an interview in which Gossip Girl‘s Penn Badgley expressed hope that there might be a gay Gossip Girl character in seasons to come. 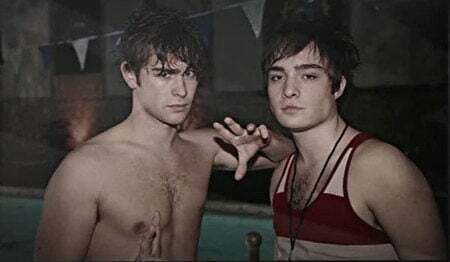 “I’m hearing from an extremely reliable source that a male character on Gossip Girl will be revealed to be of the gay persuasion when the show returns on April 21. Who? Can’t say. Won’t say. It’s too good a surprise. I will, however, offer five tantalizing clues. • This person may or may not be pictured [here]. • The revelation significantly impacts the lives of at least three people. • The aftershocks will be felt on both sides of the East River. • Some viewers will be surprised by the twist, others not so much. While it’s tempting to wish that Nate or Dan will come out, the smart money’s on the young, troubled Eric van der Woodsen, played by Connor Paolo.